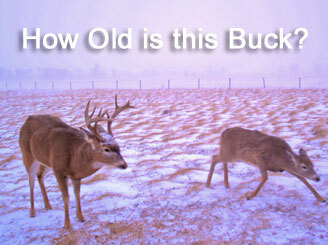 The first question usually asked about a big deer is ‘what does he score?’ However, we should be asking, ‘how old is he?’ Why is the age of a deer so important? It’s not, if your goal is to harvest a deer…any deer. 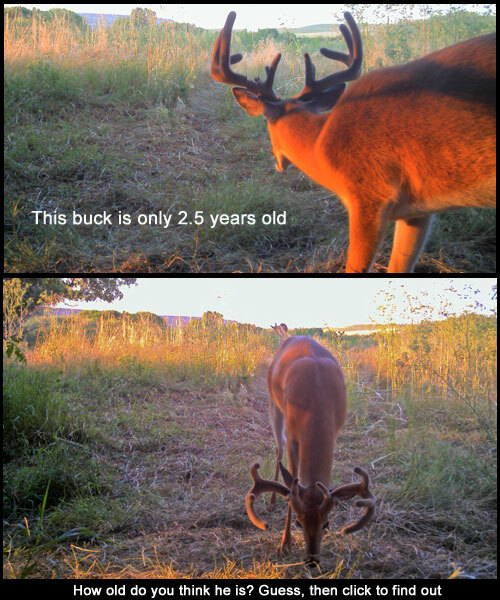 But, if you’re like thousands of other hunters out there looking to shoot “the mack-daddy”, “a bruiser”, “old mossy horns”...and manage your property for a healthy deer herd, age certainly becomes a factor. 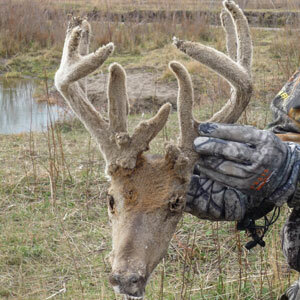 The primary obstacle to overcome when considering the age of a male deer is what the antlers score! That’s right, antler score does not determine deer age. Despite that, it does let us make some broad assumptions about a deer’s maturity. As a buck reaches full adulthood their skeletal growth becomes complete, leaving room for noncompetitive antler growth. You see, while a buck’s bone structure is still developing, the skeleton takes precedence over antlers. 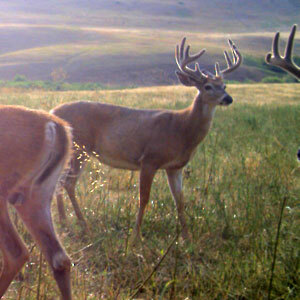 Once a buck reaches maturity, they then shift a larger percentage of their nutrient resource to antler growth. 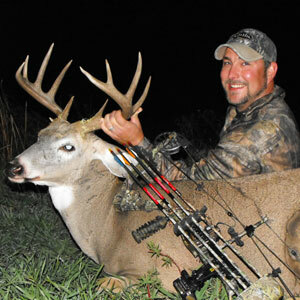 The challenge becomes determining what characteristics a truly mature deer in your hunting area displays. Just because a 140” Pope & Young deer walks by doesn’t mean he’s a shooter…or does it? Once again, the characteristics of the deer should help determine to shoot, not the antler score alone. 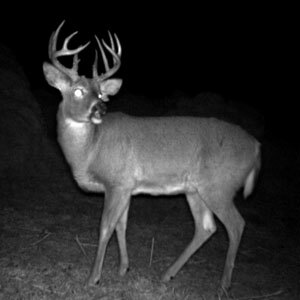 If you let our example 140” buck “walk”, what will he be next year? Will he jump in to the 160” or 170” giant you’ve always dreamed of? Or, is the current 140” rack all he’s going to be? Determining the important age characteristics of deer in your area can pay big. To learn more about the age structure and genetic traits of deer in my hunting area, I contacted Henry Chidgey, co-founder of DeerAge.com. He informed me the most accurate way to age a deer was to tag it at birth and track it till death. Not a realistic approach for guys trying to manage for quality deer. Another method Henry explained is known as eruption aging. Simply put, it’s taking a look at when deer lose their “baby teeth” and they are replaced by permanent teeth. The short version of a long scientific dialog is, this method only works for deer up to 2 1/2 years of age. Beyond 2 1/2 years this method’s accuracy rate falls off greatly. Two other methods exist to help us establish age structure. The first, eruption-wear, a technique which looks at the molar tooth wear of ungulates, is commonly practiced across the US. Unfortunately, this technique has been found to have tremendous inaccuracy when used for aging whitetail deer. Hamlin et. al., in a study titled “Evaluating the Accuracy of Ages Obtained by Two Methods for Montana Ungulates”, found that tooth wear aging was only 42.9% accurate for whitetail deer, leaving us with a 57% chance of having no idea as to the age class of our deer. The second method looked at by Hamlin and his colleagues, is known as cementum annuli. This method looks at a cross section of a select tooth at 150x magnification and determines age from the “growth rings” present. On whitetails this was found to be 85.1% accurate, nearly double the rate of the more commonly used tooth wear technique. Armed with this information my hunting partners and I set out to see just how well we could manage our whitetail hunting property. For starters we began collecting lots of trail-cam photos. From which we developed a potential list of “mature shooters”. MJ (a large 5 x 5) cautiously entered the hay yard on a -20 degree November day. As he quartered away at 27 yards David sailed a broadhead through both lungs. Our first deer, a 161” Pope & Young buck was down. We all guessed his age at 5 ½ years. As the season ended we identified three mature deer we hoped would make it to next year. 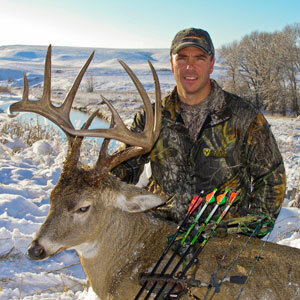 The first was a short racked 5 x 5 with a massive body structure (later named Cameron’s buck). 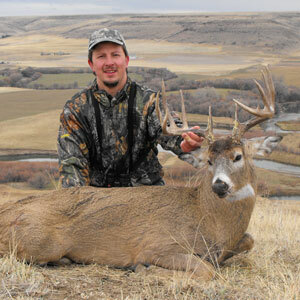 The second was a narrow, heavy non-typical named Warren’s buck. This deer had the largest body of any on the property. The third was a beautiful racked 5 x 6 (aka. 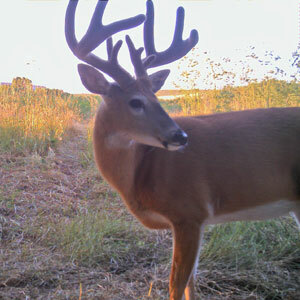 Waylon’s buck) we suspected would take a big jump in antler size and score well the following hunting season. Warren’s buck never made it. We found him dead in late summer, the cause unknown. We estimated him at the time of death to have been 6 ½ years old. 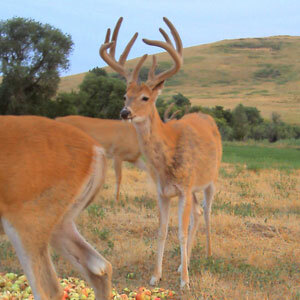 The Triple Browtine buck showed up late in the summer to take his place on the list of potential shooters. With a 20% accuracy rate on our guessing you can bet the information gained from DeerAge.Com has become invaluable. As was suggested, Pope & Young score was a poor predictor of age for our deer. As a matter of fact our youngest deer scored in same ballpark as deer nearly twice his age. How often does this occur in your region of the US? Armed with this information we developed a checklist to determine characteristics of mature deer (notice I didn’t say you could determine age). For deer that are 4 ½ years of age or greater I look for swayed backs, pot-bellies, a full neck, deep chest and well rounded rump. Older bucks (5 1/2+ years) will have more pronounced back sag, deep bellies, and their neck and brisket during the rut appear as one giant muscle. While the science of aging deer on the hoof hasn’t been mastered, the art of predicting maturity can be. 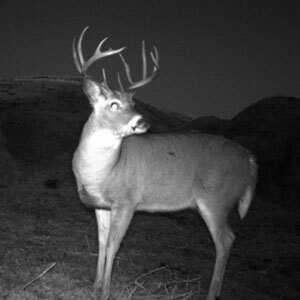 Using trail cameras and having your deer kills aged by a reputable laboratory like DeerAge.Com will help you learn the characteristics of different age classes in your hunting area. A bonus from this in-depth look will be an increase in the quality and quantity of big bucks on your property.